Tracking child development by paper is an unnecessarily time-consuming process. It’s not uncommon to see practitioners scribbling observations on scraps of paper and post-it notes throughout the day, before scrambling to write everything up properly before they go home. When you add daily diaries and other administrative necessities to the mix, the chances are that your team’s paperwork is never complete. Even when they manage that feat – and it is an accomplishment in itself – it’s not particularly easy to analyse. And it’s even more difficult to share with the rest of the team. Nobody wants to go through all your files just to get a picture of where a child is at on their development journey. Yet, when a practitioner is off sick, for example, their replacement has to start from scratch. As a manager, it’s essential for you to understand the quality of your team’s work, but you really can’t do that with an inaccurate and incomplete picture of what’s happening. There must be something you can do. With Prism, there is! Prism’s handheld technology allows you to build an accurate picture of a child’s development journey and understand the appropriate next steps. It’s quick and easy to record essential information, such as observations, in real-time without the need to re-write the information later. This saves time, improves accuracy and helps you share the data too. Any member of your team (with appropriate permissions) can instantly access the information they need to provide the best possible care – and your bank staff can get up to speed in no time at all. Powerful reports are presented in a unique fashion to alert you to areas of concern at a glance and allow you to probe each report in a logical step to gain further insight. It’s like nothing else you’ve seen! You can compare all manner of variables, such as individual children, cohorts, age groups, English as second language and so much more. 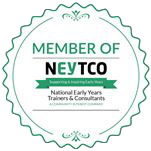 The reports are a great help whether you’re interested in an individual child, groups of children or you need to provide evidence to third parties. For example, to secure funds for SEN, identifying where can get the most benefit from EYPP funding. 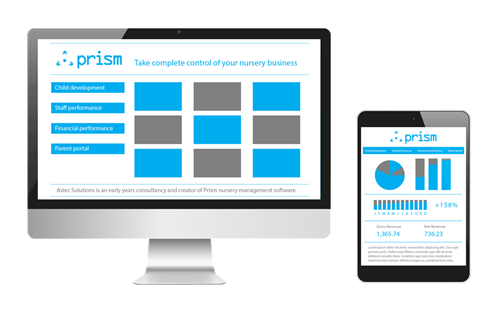 Prism rises above other solutions because it’s not just an EYFS tracking solution: it’s a total management solution designed to support your team to deliver the best childcare possible. By combining data collected through Prism’s full range of modules you can gain extra layers of insight. So, not only will you know just how to support each child, Prism will help you identify how to support your team to deliver the best care possible.